Are you new to Grace Fellowship and wondering what we’re all about? 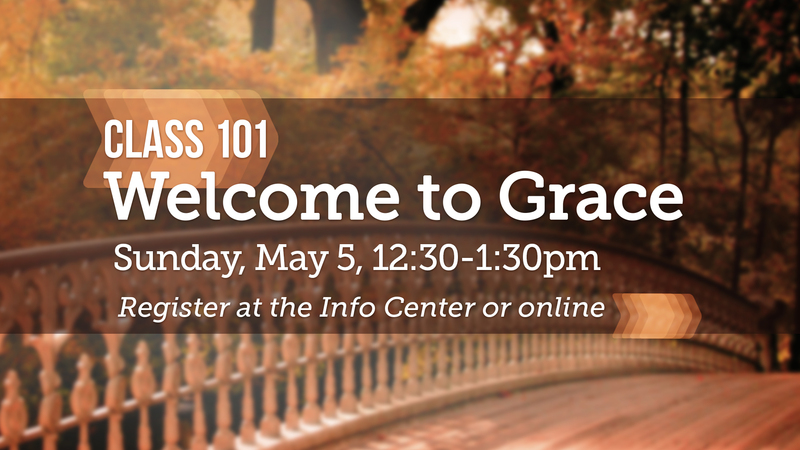 “Class 101: Welcome to Grace” provides an overview of the history, mission, vision, and values of our church. Come enjoy some lunch and refreshments and maybe even make some new friends.